Let me give you your appliance future. Your oven will be able to prepare food based on what it knows is in your refrigerator. It will then signal your dishwasher as to what the best cycle will be based on what you will cook. 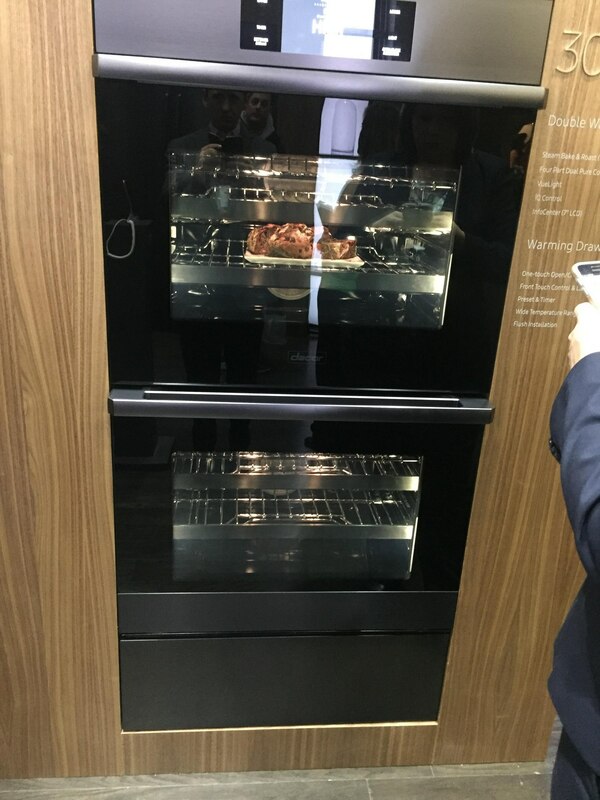 Jenn-Air and Samsung are actively working on this concept now. Pretty soon, you will be able to hook all the appliances to Alexa, the "brain" of Amazon's Smart Home Devices. You already can control many appliances through an app on your phone. 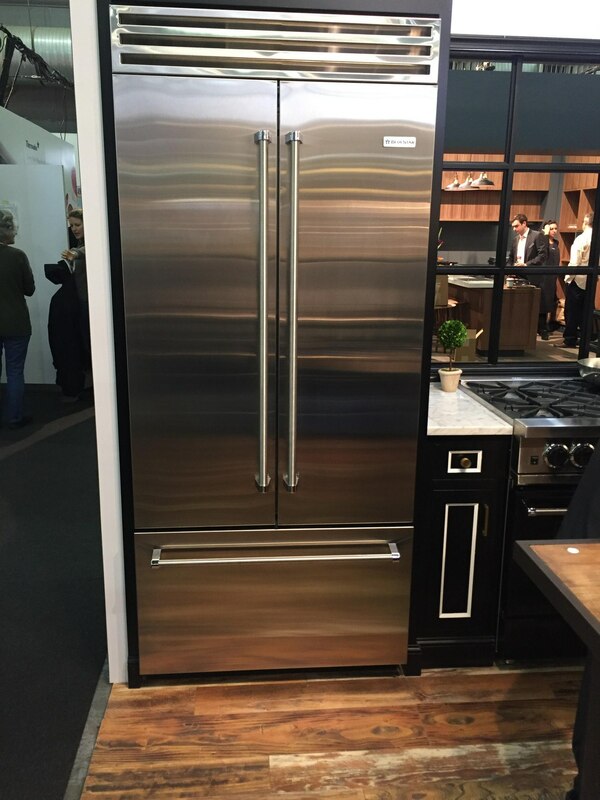 Years ago, I would go to the Kitchen and Bath Show in Orlando and Vegas, but the Architectural Digest Design Show has more of the best vendors. It is also in New York, so it is a day trip. 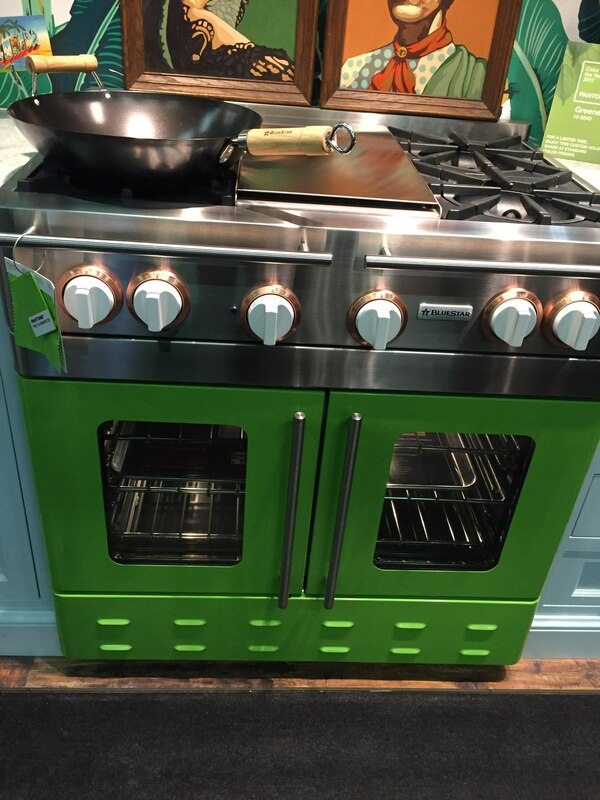 These were the best new appliances. Forgive the pics as they were taken with an iPhone. AGA was founded by a blind man in England, so their traditional ovens were always on and had no controls. Their new ranges are less expensive and are a departure from the “always on” range. Both gas and induction are great looking, but kind of tinny. You should look at them before you consider. True is a huge commercial refrigerator manufacturer. They have recently redesigned for residential. 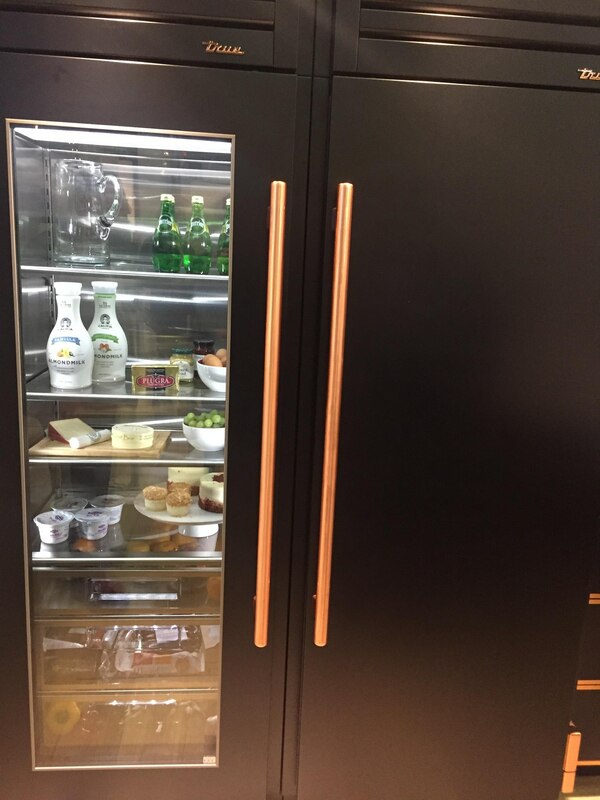 This year is customized refrigerator columns with some cool accents. 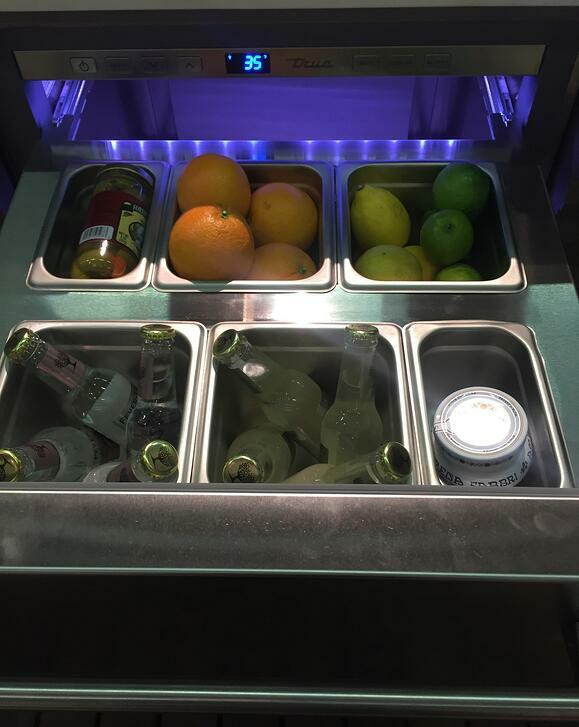 Their drawers have new shelving ideal for different drinks. Wolf has been innovating new products over the last few years. The dedicated high BTU wok burner on their rangetop is new this year. This smoker is unbelievable!! It is computerized, so you know exactly what temperature. It is Wi-Fi and app driven. If you like to smoke, this unit is pretty amazing. First, you should consider the new Hestan grill. 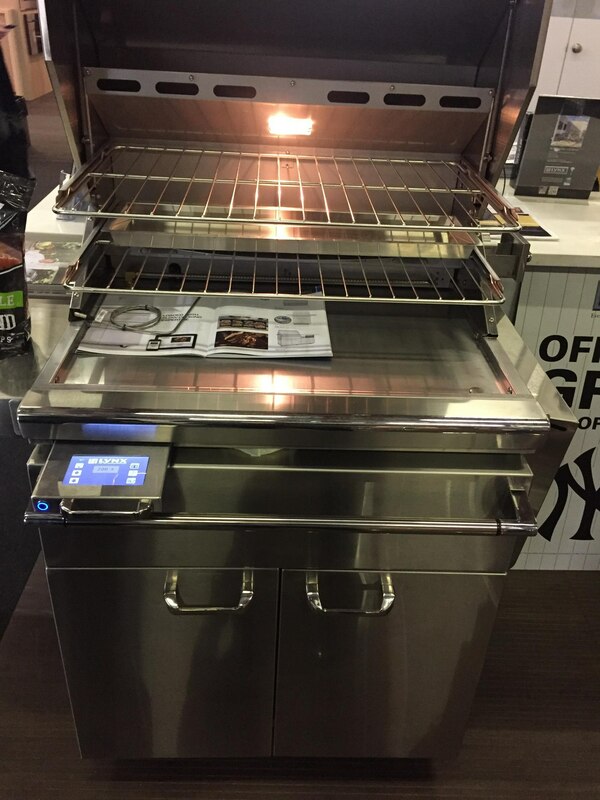 It has laser cut steel grates, incredible power, and sear capability as well as the best rotisserie burner system. Also, you can finally buy a stainless island for your outside patio area and not worry about the weather. Their hoods are beautiful, but nobody buys hoods like this in the US. It must be a European thing. 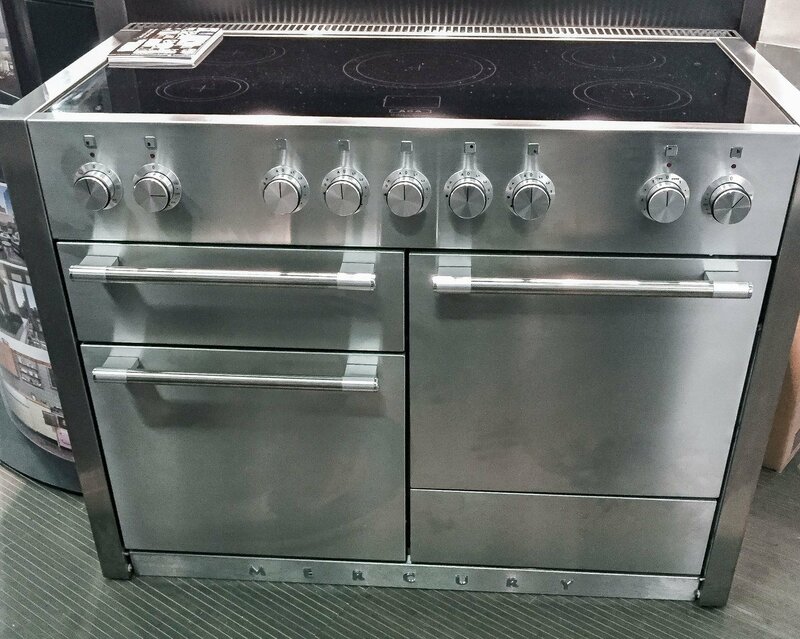 Their steam convection oven is now available in a larger size. Steam is the best way to cook. 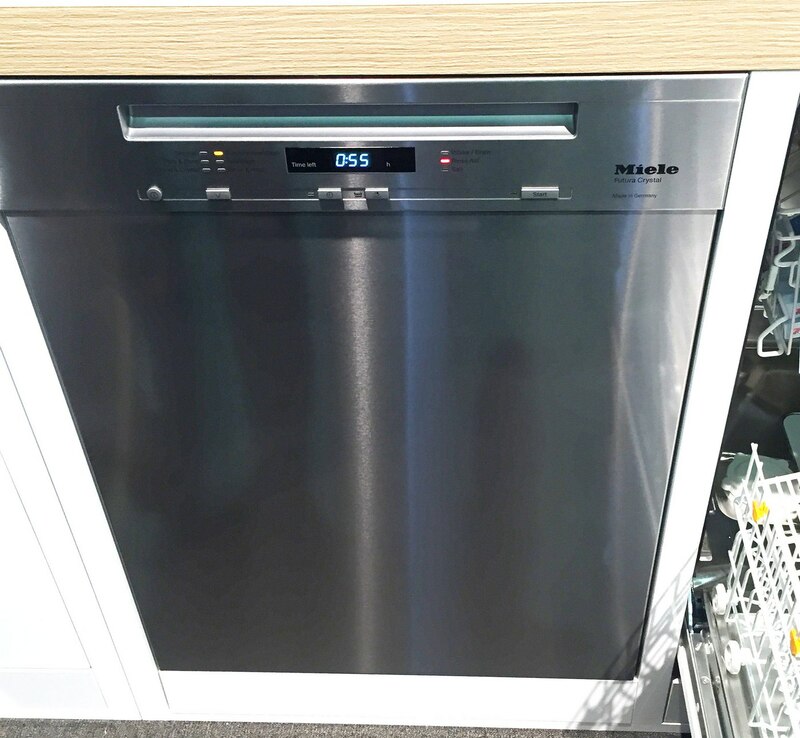 Miele will also have a new dishwasher, which is shown above. We have already profiled their new refrigerator, and soon they will have a French door. Their ranges will be offered in a sealed burner. How do you like the color of this range? My Dad used to drive an Oldsmobile Cutlass just like that…the color is called Latruce Green (Great car with a V8). Dacor's whole line was Wi-Fi and controlled by an app. This pro range is only offered with a griddle but is very attractive in Black Steel. This company understands style. 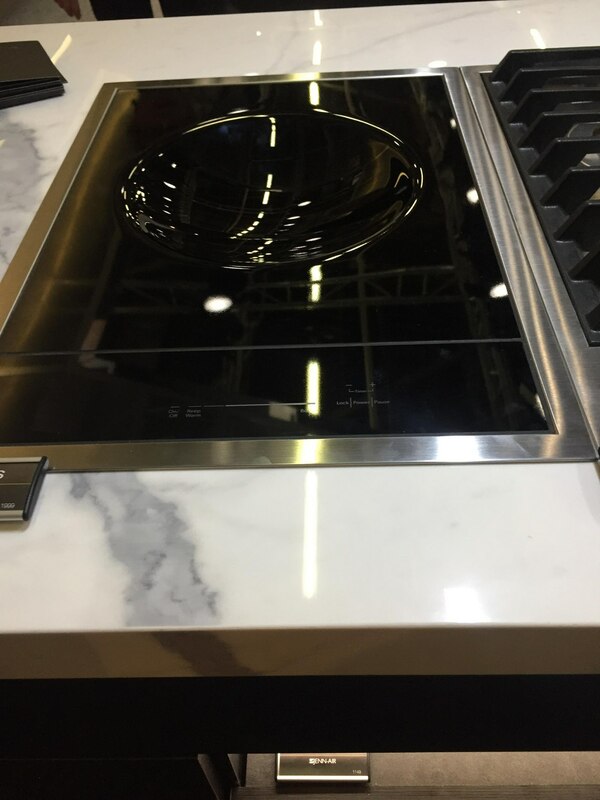 If Dacor has the best version of the future, Jenn-Air has the best products for the present. 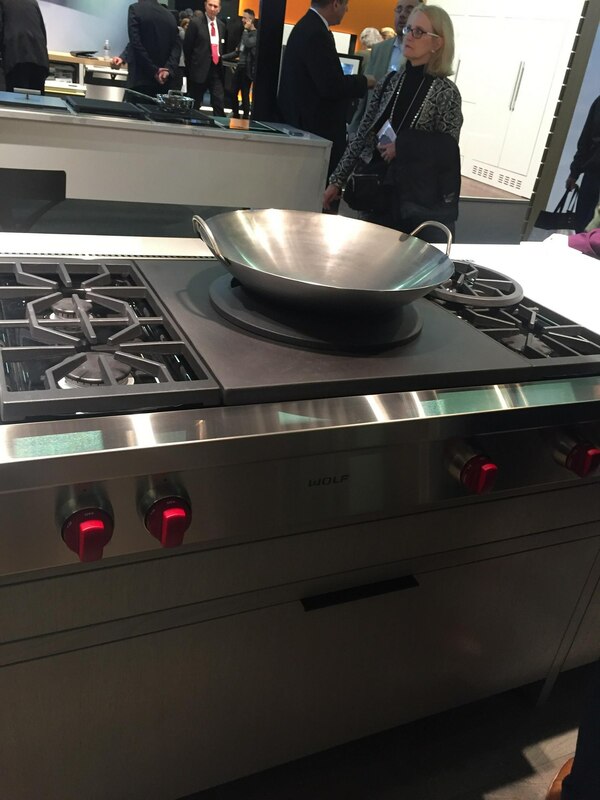 Their new modular cooktops actually make sense and are better than any competitor with an induction wok, induction and gas cooktops. You have more power with better prices. 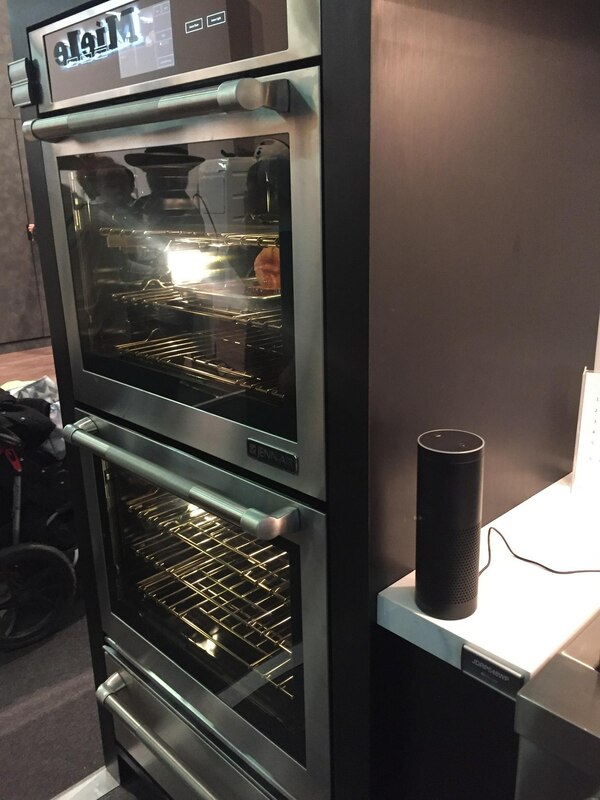 Their wall oven is now Alexa compatible (or will be soon). Their new style will be very popular. So that is the best of the near and long term future. 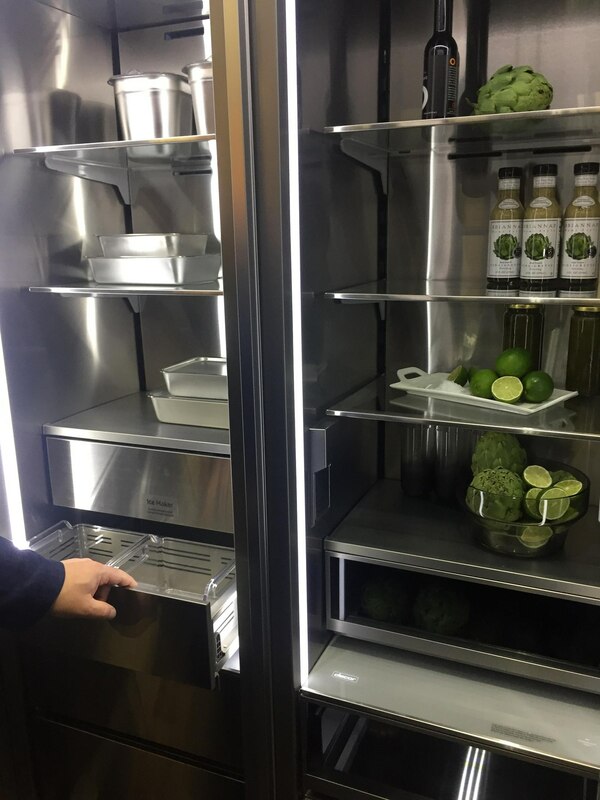 With Samsung buying Dacor, many companies will have to redefine their technology so their products are more user-friendly. 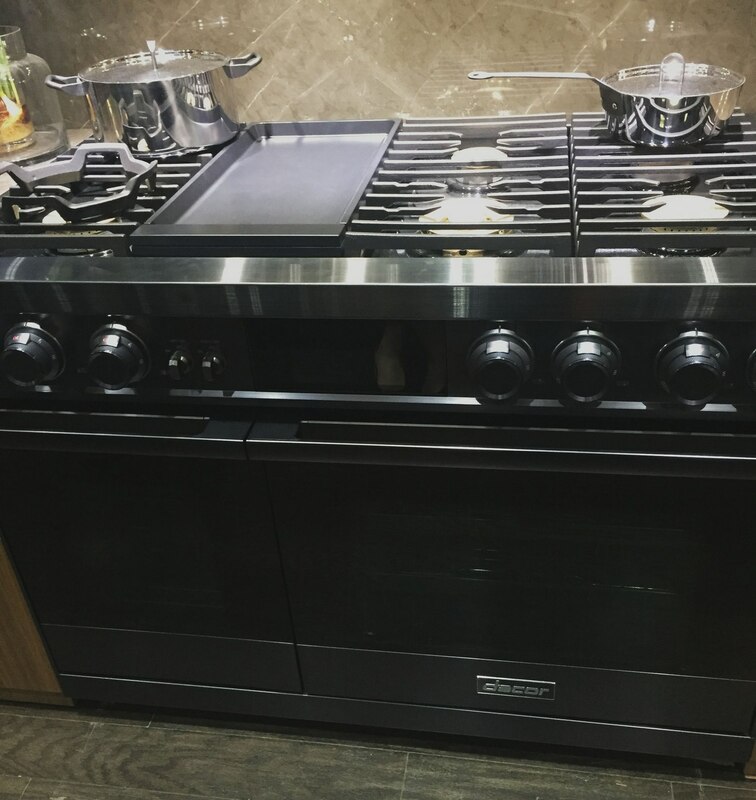 Whirlpool has already started with the Jenn-Air brand. It will be interesting to see the kitchen in 3-5 years. Buying a kitchen of appliances and need some help? Get The Yale Appliance Buying Guide with features, specs and detailed profiles of the major brands. We also answer the 10 most asked questions and tell you the best time to buy appliances to save money. Well over 230,000 people have read a Yale Guide.